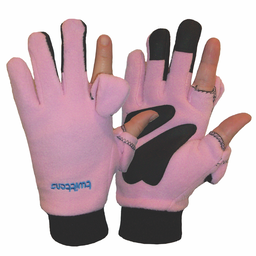 twittens - now in pink! to 2011 ... and beyond! Well, you asked and we listened. While a LARGE percentage of people do prefer the original black twittens, rarely a day goes by when we don’t get an email asking for a different colour. In fact, we have offered the red ‘valentine’s’ twittens since February of this year and at the time of my writing this – there are some still left. However, much like the colour I’m about to mention – once they are gone, they’re gone. There is little question that the most requested colour is pink – and so, well we know have pink. We have only a limited number of the pink available, which are currently available ONLINE ONLY until they are all gone. They are priced at $24.95/pair and include shipping. Of course, you can still get the black and red ones there as well - available in sizes XXSmall to Large. Order yours �today. Would you rather gets your hands on (and/or in) twittens in person? Well, head on over to our recently updated WHERE TO BUY section to find a retailer near you. �That’s all for now – thanks for your interest in twittens and stay warm!